St Attracta Road in Cabra. GARDAÍ IN DUBLIN are appealing for witnesses after shots were fired at a home in Cabra. 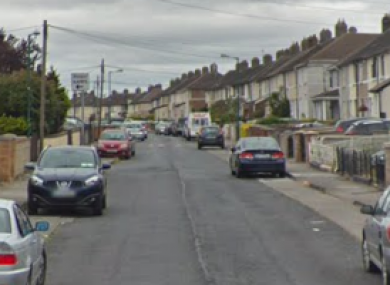 Gardaí in Mountjoy are investigating after a number of shots were fired at a house on St Attracta Road in Cabra just before 10pm last night. None of the occupants of the house were injured. Windows at the front of the house were damaged in the shooting. A number of armed Garda units attended the scene and carried out searches. The scene was preserved for technical examination. Investigating Gardaí are appealing for witnesses to contact them. Anyone with information is asked to contact Mountjoy Garda Station 01- 6668600 or the Garda Confidential Line 1800 666 111. Email “Gardaí appeal for witnesses following drive-by shooting on home in Cabra”. Feedback on “Gardaí appeal for witnesses following drive-by shooting on home in Cabra”.